The Pacific Northwest Truck Museum in Brooks, Oregon is a real find for truck enthusiasts. It highlights trucks that were either built or used in this rugged and forested region of the nation. Vehicles range from local delivery vans to long-haul rigs. It’s pretty cool to walk inside a building and see so many 18-wheelers on display. The museum was founded in 1989 by trucking executives and drivers to honor their legacy, with support from Kenneth Self, the late CEO of Freightliner and a rabid truck enthusiast. An 1899 Grain Wagon pulled by two horses harkens back to the term “teamster” for a truck driver; it originally meant someone driving a team of horses. A 1942 Diamond T Model 201 Panel Truck is rare for an unusual reason: Only five were built before the factory’s manufacturing lines were requisitioned for wartime production. A crowd-pleaser is the colossal 1959 Oshkosh Snowplow, which was used at Fairchild Air Force Base in Spokane to clear the runway for B-52 bombers during the Cold War. A unique collection of license plates from the 1930s and ’40s reveals a seamier side of life. Because of an increase in cattle rustling, beef dealers were issued their own plates that said “Oregon Meat Dealers License.” Anyone caught transporting beef without plates was assumed to have procured the meat by nefarious means. One of the highlights of the Pacific Northwest Truck Museum is the world’s largest collection of one-of-a-kind monkey wrenches. Displayed on a wall are 1,006 of the tools (no, I didn’t count them), with no two the same. They were collected and donated by Oregonians Phil Holsheimer, Jr. and his wife, Georgie. But why were so many unique wrenches floating around out there? Back in the day, machine shops hand-forged their own tools rather than buying them, with each craftsman adding his own touch to the finished product. Check the museum’s website for info on its annual summer truck show in late August. Note: To see more of the trucks from the collection, head to the Jubitz Travel Center and Truck Stop, where a few are always on display. It’s located off exit 307 of I-5 at 10210 N. Vancouver Way, Portland, OR 97217. Highlights: 1918 GMC Truck (one of 450 built to be used in World War I); 1920 Doane chain-drive truck; 1938 Ford (its first cab-over-engine truck); 1962 Freightliner Fireliner fire truck, one of only six built at the Portland, Oregon factory. Location: 3995 Brooklake Road NE, Brooks, OR 97305. 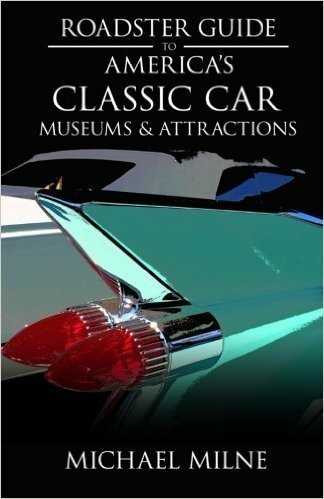 Located within the Antique Powerland Complex, which includes the Northwest Vintage Car & Motorcycle Museum (see next listing). Admission: $ for the Antique Powerland Complex, then the museum is free. Hours: Hours are limited, so plan accordingly. Early April through late September: Saturday and Sunday, 10 a.m. to 4:30 p.m.